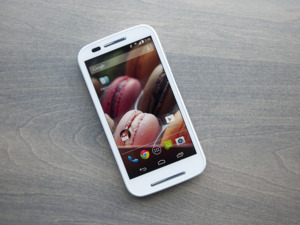 Motorola Mobility’s Moto E doesn’t cost much, but it works well and doesn’t look cheap. 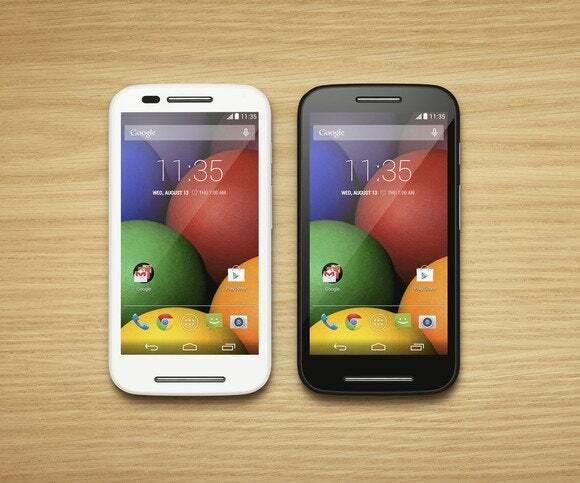 The Moto E was launched Tuesday and costs $129 without a contract. Motorola’s goal is to convince users who still have a basic feature phone that they can now afford a smartphone. For that price, you can’t get anything but a smartphone with basic specifications. The Moto E is powered by a dual-core processor running at 1.2GHz and has a 4.3-inch screen with a 960 by 540 pixel resolution, which doesn’t feel like a big compromise at that size. To make the spec last, Motorola has made a couple of smart decisions. One is that the company hasn’t weighed down the phone’s performance with a lot of its own additions to Android. Instead, the Moto E uses the operating system’s standard user interface. That helps make the phone feel snappy even though it doesn’t have a powerful processor. To help improve performance, Motorola equipped the Moto E with 1GB of RAM, which isn’t a standard in this product category. The only obvious things Motorola has done to save money are to skip a front camera and LTE. Owners will also have to make do with a 5-megapixel camera and 4GB of integrated storage. The company makes up for the latter with a microSD card slot. Another thing I like with the Moto E is that it has an FM radio. In this age of streaming music services, that may seem like an anachronism. However, users who buy the phone will likely have a small data allowance that they might not want to blow on Spotify. So with an FM radio they can still listen to music while on the go. 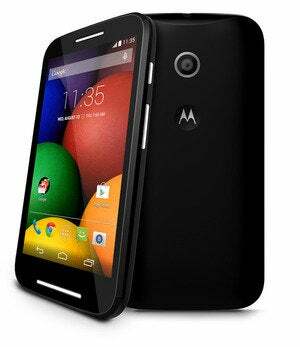 For those with a slightly larger budget, the Moto G has been upgraded with LTE and a MicroSD card slot. It starts at $219, which is still a good value. 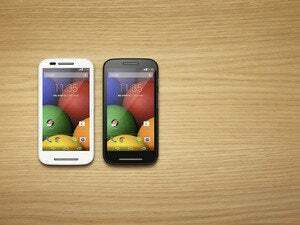 For users who don’t want to sign a contract and pay over $650 for a smartphone, the Moto E and Moto G LTE are both good choices. What I would like to see Motorola do next is develop an affordable smartphone with a bigger screen and compete with products like Samsung’s Galaxy Mega family, with phones that have 5.8-inch or 6.3-inch screens. Interestingly, the screen on the Galaxy Mega 5.8 has the same resolution as the one on the Moto E.
The low-end segment of the smartphone market where the Moto E and the Moto G fit is going to become increasingly competitive, so the big winners will be consumers around the world who will be getting a lot more bang for their smartphone buck.